While the cook time may seem daunting, the process of shredding chicken is quite easy. Whole chickens are easy to find at local supermarkets (be sure to look for local or sustainably raised chicken) and give you the best bang for your buck – freeze leftovers or use them throughout the week in salads, sandwiches, soups and stews, or chicken burritos like these. 1. Fill a large pot 3/4 full of water and heat to a boil over medium-high heat. 2. Rinse the chicken under cool water and remove the bag of extra parts that has been placed inside. Pat dry with paper towels and rub with garlic powder, salt, and pepper. 3. 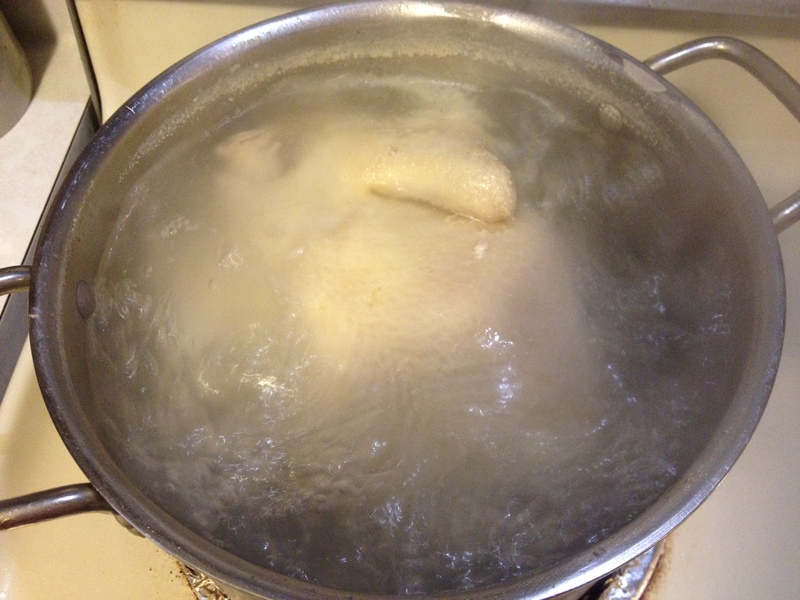 Transfer the chicken to the pot of boiling water. Add extra salt and pepper to taste. 4. Boil the chicken for about 1 hour or until the chicken is tender and can easily be pulled with a fork. Remove chicken from the pot and place on a cutting board to cool. 5. 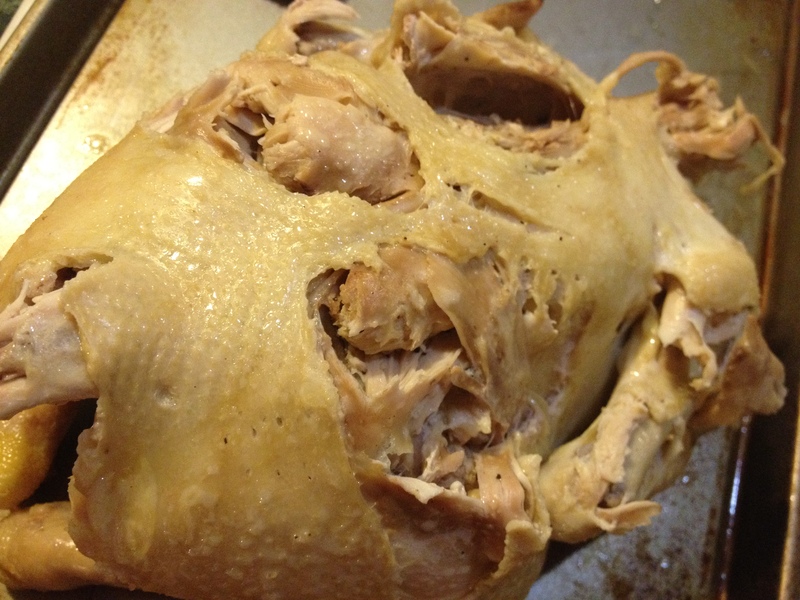 Remove all skin from the outside of the chicken. 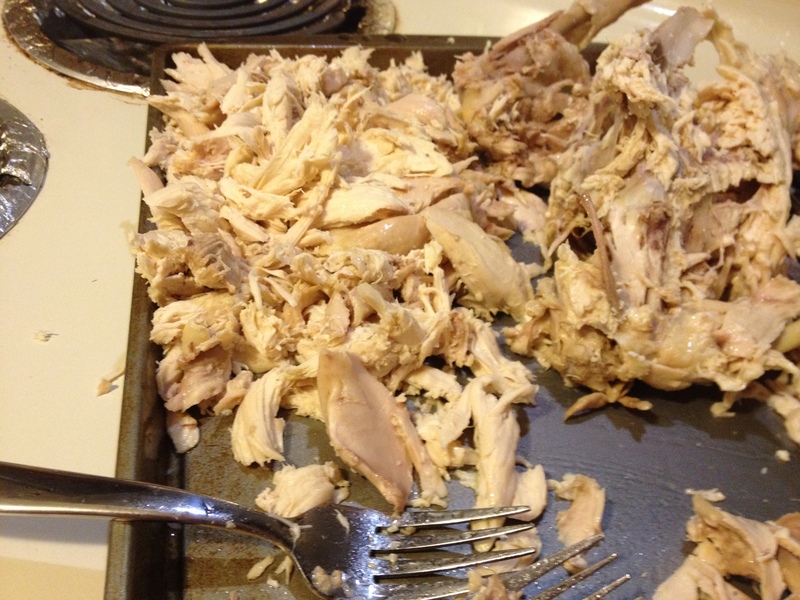 Using a fork and your fingers, scrape the chicken away from the bones, shredding it into small pieces. Discard carcass when finished. 6. Use in your favorite recipe (see here for some ideas) or place in a bowl, cover with tin foil, and save for later.